Heat oven to 350°F. Grease 9x5-inch loaf pan with shortening; lightly sprinkle with flour. 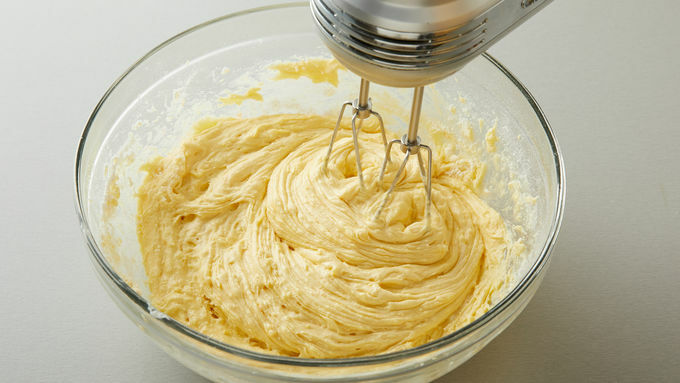 In large bowl, beat Loaf ingredients with electric mixer on medium speed 2 minutes, scraping bowl occasionally. Pour in pan; spread evenly. Bake 40 to 50 minutes or until toothpick inserted in center comes out clean. Cool in pan on cooling rack 10 minutes; run metal spatula around edge of loaf to loosen. Remove from pan to cooling rack. Cool completely, about 1 hour 30 minutes. In small bowl, beat Icing ingredients. Spread icing over top of cooled loaf. Let stand until set. 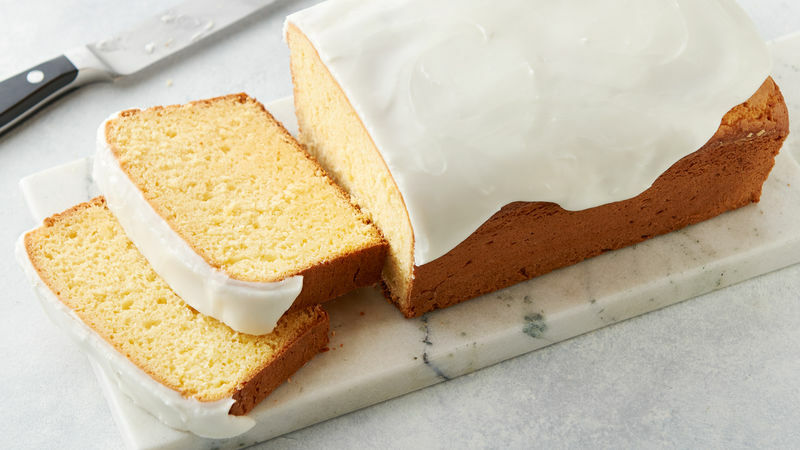 Fresh lemon juice gives the cake a bright flavor. 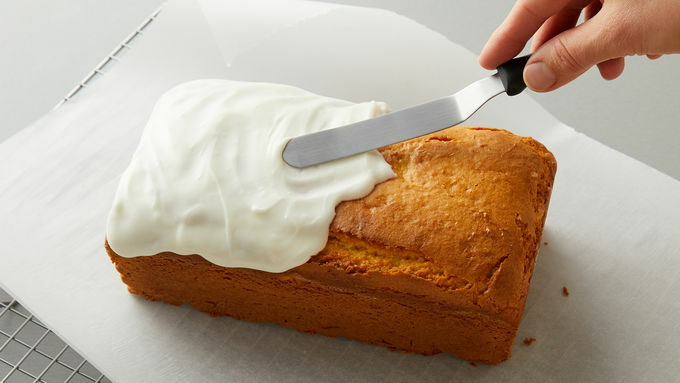 The icing should be thick enough to spread over the top of the loaf without it dripping too much down the sides. If necessary, beat in more powdered sugar, 1 tablespoon at a time, for desired consistency. 1 medium lemon yields, on average, 3 tablespoons juice and 2 to 3 teaspoons grated zest. Leftover citrus zest or juice? Store tightly wrapped in the freezer for another recipe.